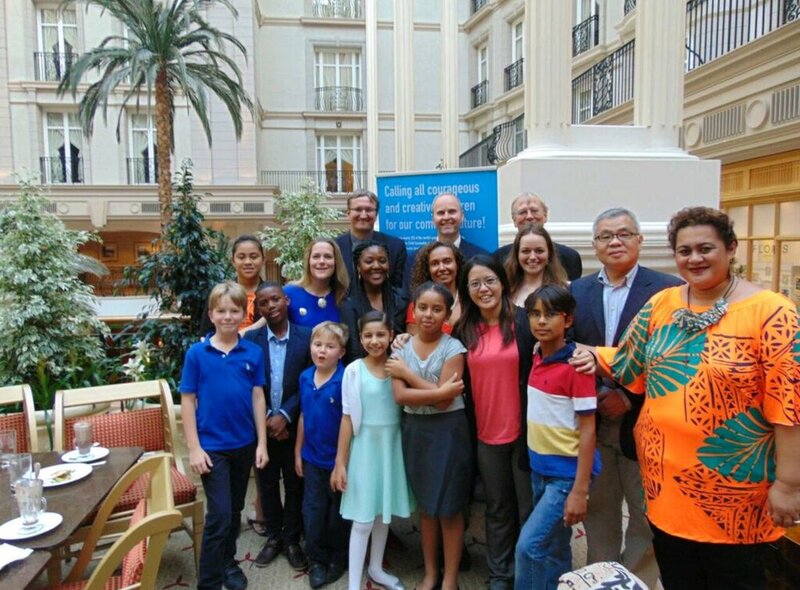 On 08 July 2016, child authors, goodwill ambassadors, and representatives from the Voices of Generations initiative and Bloomsbury Publishing assembled at the Landmark Hotel, London, to meet with Mrs Mary Robinson, former President of Ireland and Founder and President of the Mary Robinson Foundation - Climate Justice. The child authors introduced themselves and presented Mrs Robinson with autographed copies of their books to Mrs Robinson who was inspired and thrilled by their work. Over dinner, the children engaged in an inspiring and engaging roundtable discussion with Mrs Robinson, about the issues addressed in their books and how they relate to the CRC and Post-2015 SDG’s. Conversation also turned to intergenerational equity and how this can be addressed and achieved. 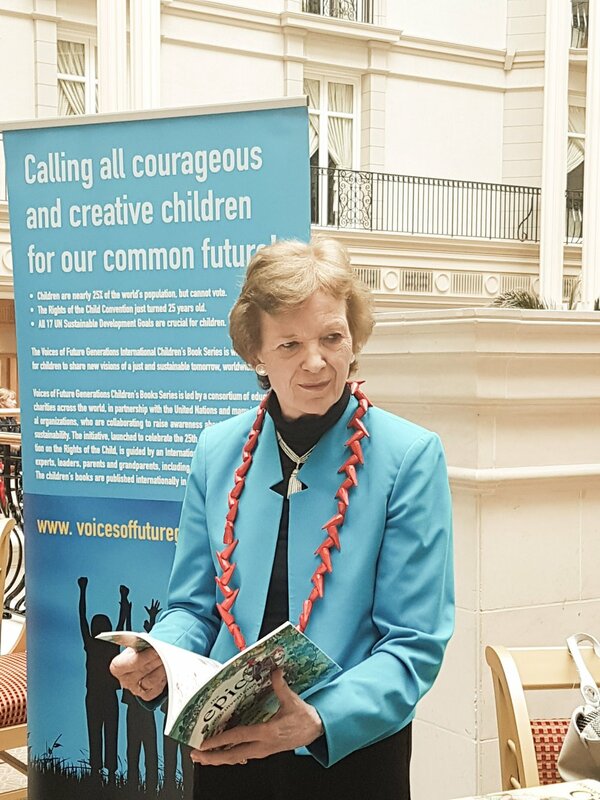 A 2016 Future Generations Inspiration Award was presented by the child authors to Mary Robinson, to thank her for being an inspiring global mentor to both the children present, children around the world and for future generations, on whose behalf she campaigns for a better future.